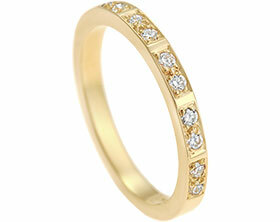 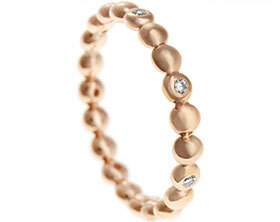 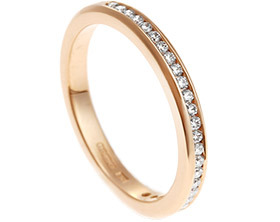 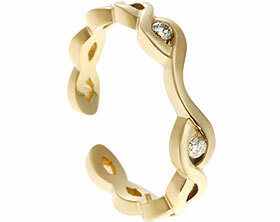 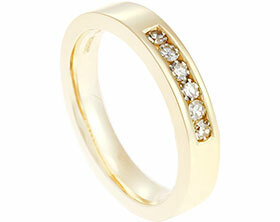 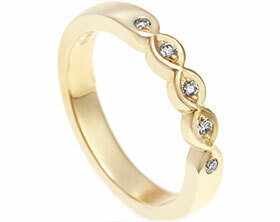 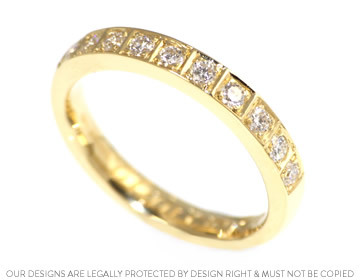 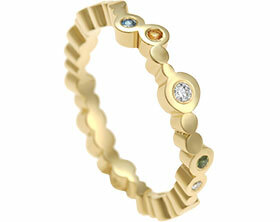 A beautiful 18ct yellow gold eternity ring featuring ten 2mm brilliant cut H Si diamonds. 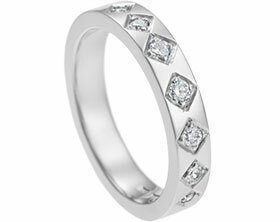 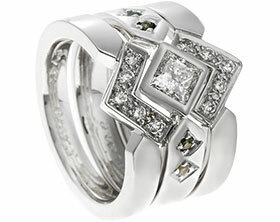 The diamonds have been pave set in a geometric, four corner grain style which creates a stunning ordered and regular effect. 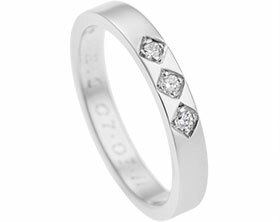 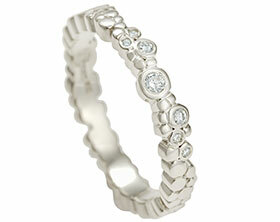 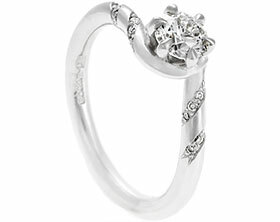 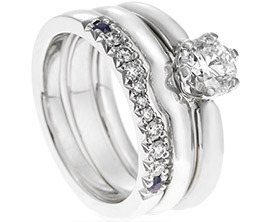 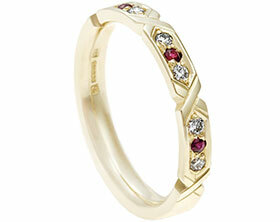 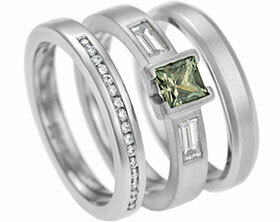 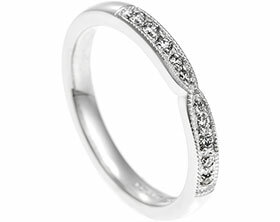 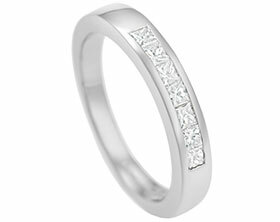 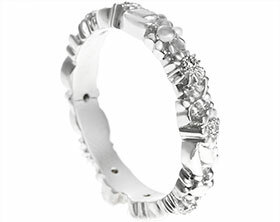 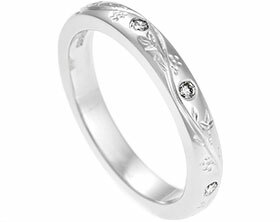 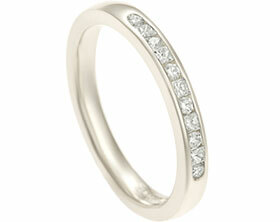 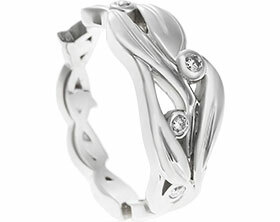 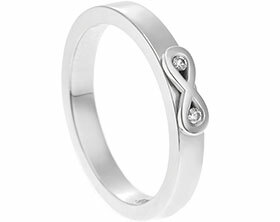 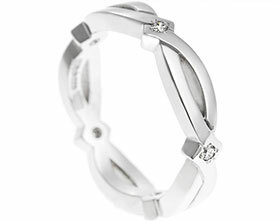 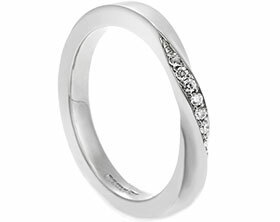 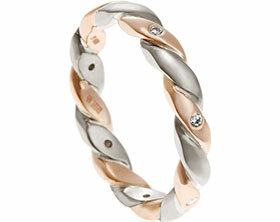 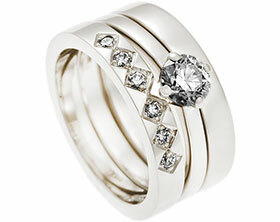 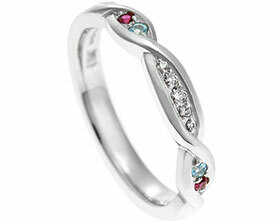 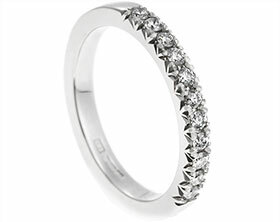 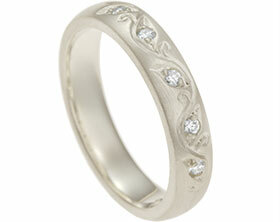 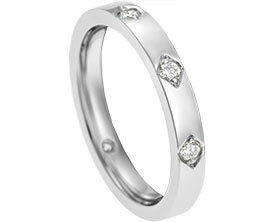 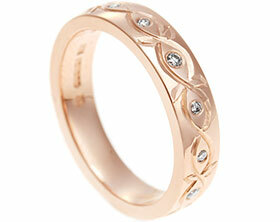 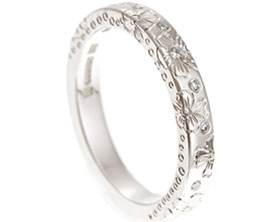 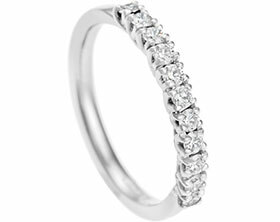 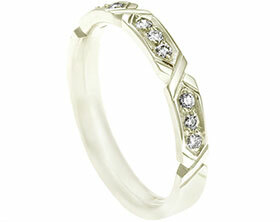 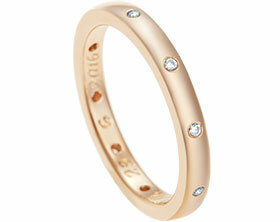 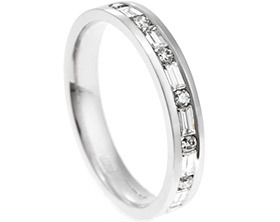 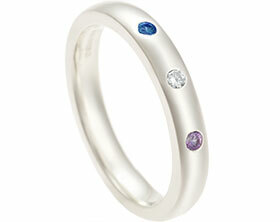 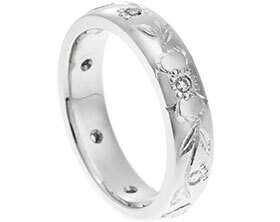 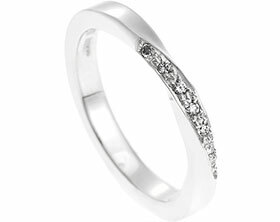 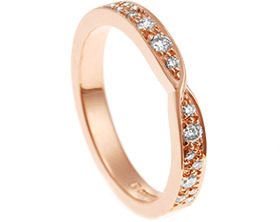 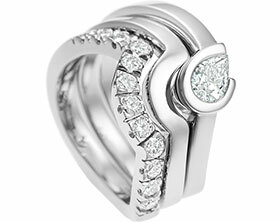 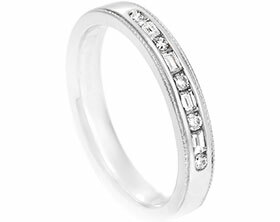 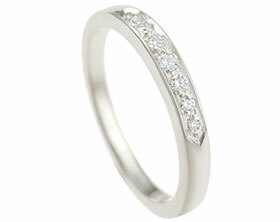 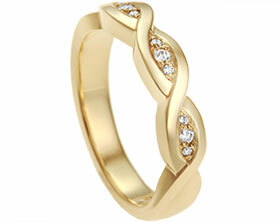 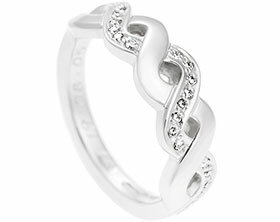 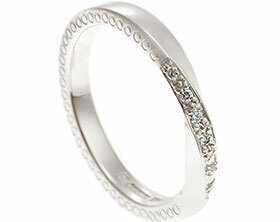 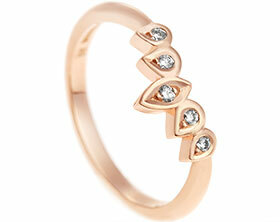 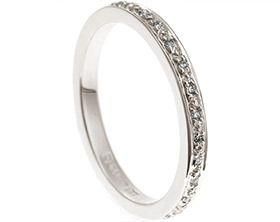 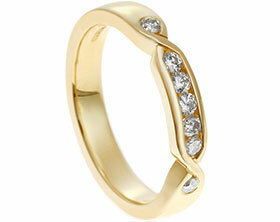 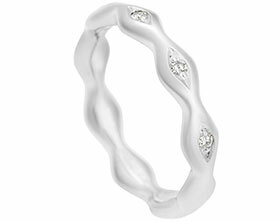 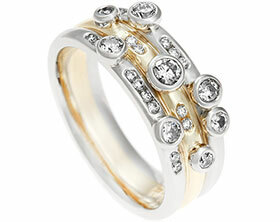 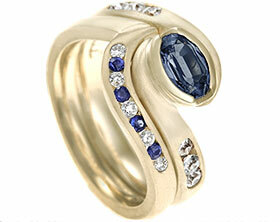 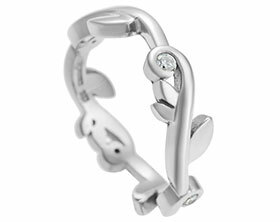 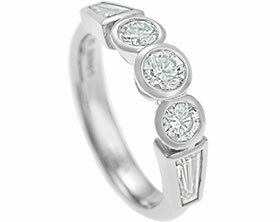 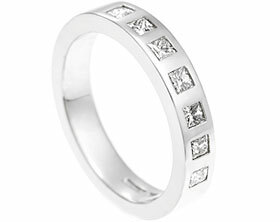 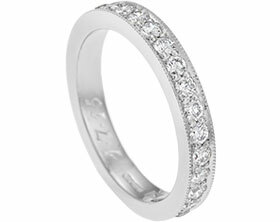 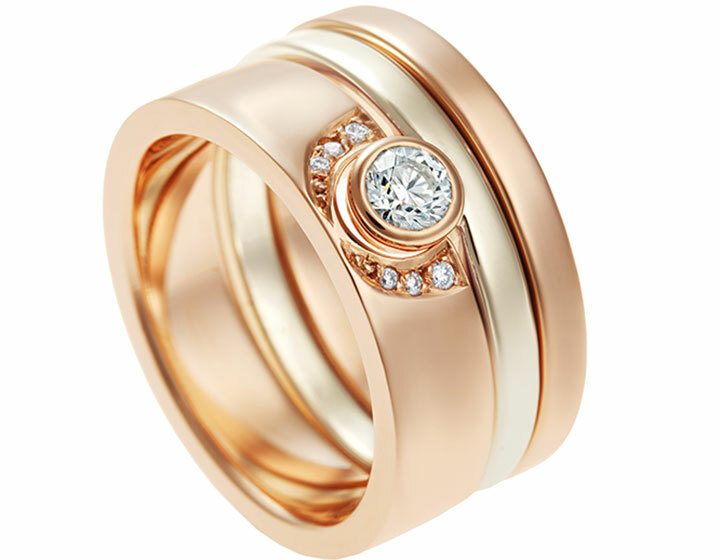 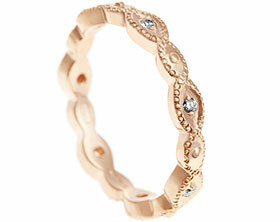 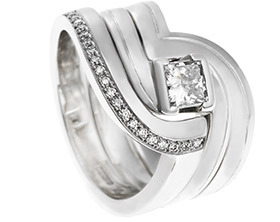 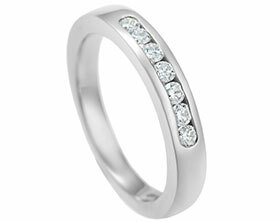 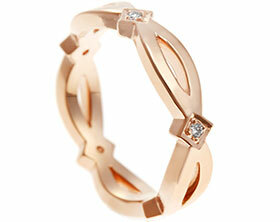 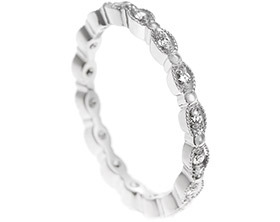 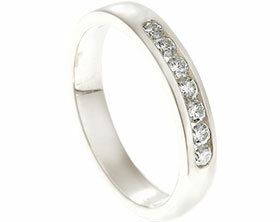 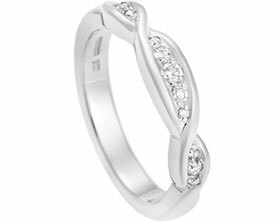 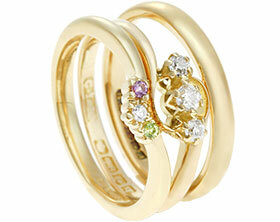 The 3mm wide band has a soft courting profile and to complete the look the ring is polished to a high shine.